One of these things is not like the other! But can you figure out which one? Test yourself with Amazing Picture Puzzles and enjoy hours of eagle-eyed fun. Imagine several photos that appear identical at first glance, but which contain subtle differences that only a discerning eye can spot. In Amazing Picture Puzzles, readers will have to use all their powers of observation to spot the differences in photos showing crowds of people, busy cityscapes, and all sorts of animals. With meters measuring the difficulty of each puzzle, boxes for readers to fill in their times and keep track of their progress, and--for those who just can't spot the difference--an answer key in the back of the book. 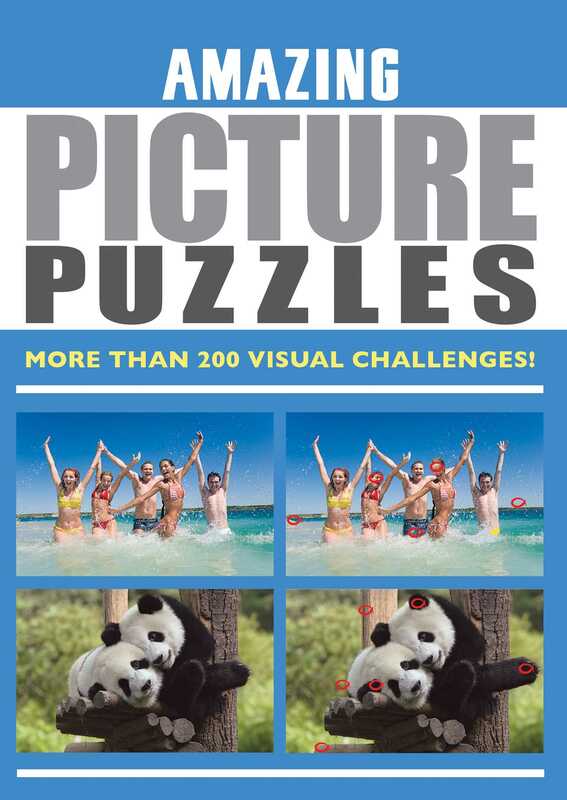 Amazing Picture Puzzles is filled with the best brain-teasers for anyone looking for a visual challenge.